Before you travel, especially if there’s been civil unrest, health warnings or a local natural catastrophe, the U.S. State Department’s Country Information page can be a valuable resource. 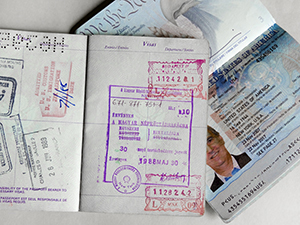 Type in the name of any country and you’ll get up-to-date information regarding requirements for passport validity and blank pages required; tourist visas; vaccinations: and currency restrictions. It also provides the latest safety and security messages for your destination(s). It’s all fast and easy to navigate. Don’t expect to see any tourism info here, however. The fact sheet on each country is basically historical and political. For years the U.S. State Department had listed Travel Warnings and Travel Alerts for areas around the world. A Travel Advisory for each country of the world has now replaced them. It’s also worthwhile to enroll in the State Department’s Smart Traveler Enrollment Program (STEP). Enrollment will let you receive you the latest safety and security information about your destination, invaluable in today’s turbulent world. It helps the local embassy contact you in any emergency, and also helps your family get in touch with you. You can get more information at Smart Traveler Enrollment Program (STEP). LGBTI travelers can face unique challenges traveling in some foreign countries. 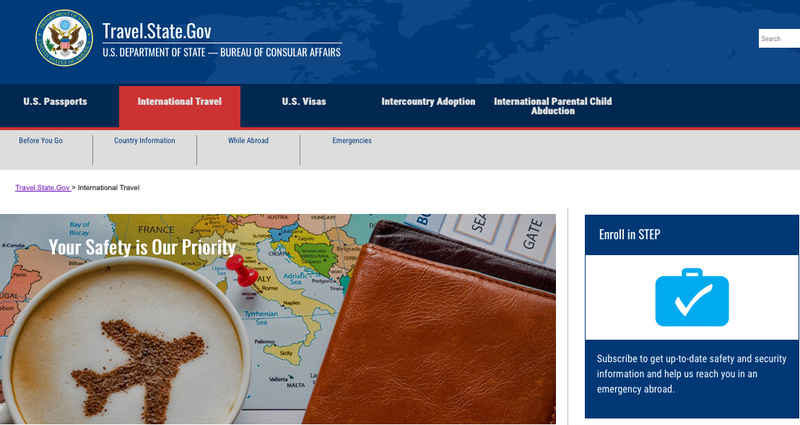 Since legal protections vary from country to country, a good starting point for LGBTI travelers is the LGBTI Travel Information page of the U.S. State Department. If you ever have an emergency while traveling, including losing your passport or having it stolen, you should call the nearest U.S. Embassy or Consulate. In the U.S. & Canada telephone 1-888-407-4747; from overseas call +1 202-501-4444. You’ll find a complete list of contact numbers for U.S. Embassies and Consulates at Websites of U.S. Embassies, Consulates, and Diplomatic Missions. You’ll find a list of Canadian Embassies and Consulates here. Depending where you’ll be traveling, it could make sense to copy them down in advance….just in case.